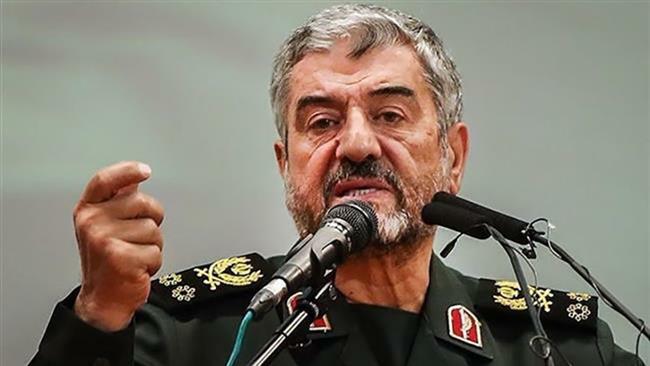 TEHRAN: The head of Iran’s Revolutionary Guards said on Wednesday that Europeans were tied to the United States and cast doubt on their ability to save the nuclear deal spurned by U.S. President Donald Trump. Britain, Germany and France have urged the United States not to take steps that would make life harder for other countries that still want to stick to the Iran nuclear deal. But Guards commander Major General Mohammad Ali Jafari said they could not act on their own. Under the deal, Iran agreed to curb its enrichment of uranium and other nuclear development in exchange for the lifting of sanctions. Jafari said the withdrawal of the United States showed that the issue of Iran’s uranium enrichment had just been an excuse to try and limit the Islamic Republic’s missile program and regional influence, Fars News reported. “With attention to the fact that the issue of the enemy is our military capabilities, the armed forces must pay closer attention to expanding their capabilities,” Jafari said. Iran has a lot of experience in developing the country under sanctions, Jafari said. “One more time it’s completely clear and has been proven that the Americans are bullies,” Jafari said, according to the Islamic Republic News Agency. “The Americans can not be trusted for any kind of negotiation or agreement,” he added.